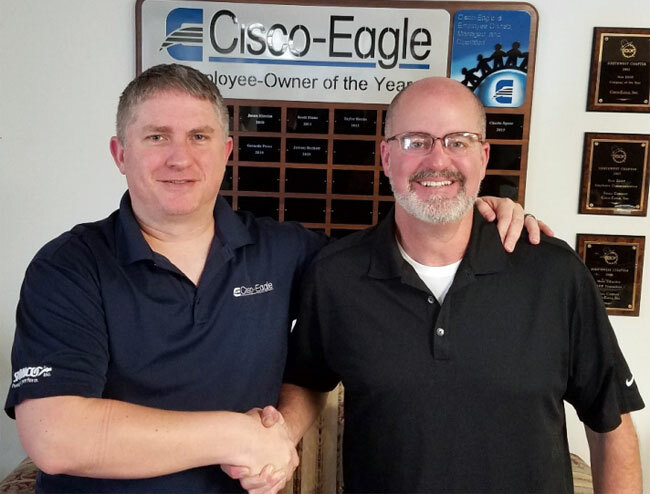 Jeremy Beckett has been named Cisco-Eagle’s ESOP Employee-Owner of the Year for 2018-2019, an annual award presented by Cisco-Eagle’s ESOP (employee ownership) Advisory Committee. The employee-owner of the year award is awarded by a committee of peers, based on nominations from all Cisco-Eagle employee-owners. This is a critical part of the award — employees award it, not management. Beckett supervises our e-commerce development. 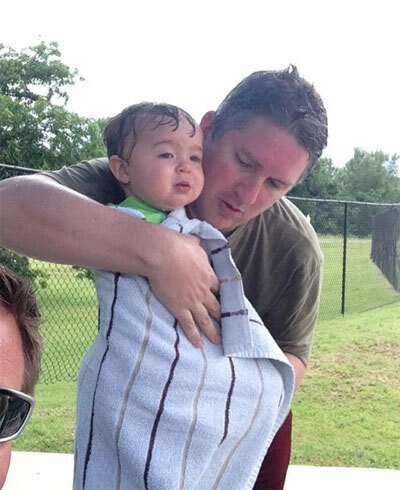 He’s been with Cisco-Eagle since 2006 and has been pivotal in our website and marketing efforts. Cisco-Eagle has a constantly growing library of products representing millions of data fields. Jeremy leads the team that identifies new products and services that can serve our customer base, builds product, and curates the critical information our customers need to fulfill their orders. His duties also include paid search and a variety of other marketing efforts. The award recognizes an employee-owner who has gone beyond what is expected to promote and support ownership culture. Cisco-Eagle believes that empowered, fully-invested employee-owners help us provide exceptional customer service and better business results. Jeremy embodies these qualities with his willingness to participate in activities and teams outside the scope of his regular duties. Jeremy goes above and beyond what is expected: Jeremy challenges assumptions and finds ways to remove roadblocks. He is a “go-to” resource when people need to get things done. When there are company-wide huddles, Jeremy often sets up the meeting and conference equipment. When there are cookouts in the office, he’s grilling burgers for everyone. When the Tulsa office was expanded last year, Jeremy was out front working on everything from the layout to moving heavy furniture over the weekend. Jeremy participates in events and/or committees: Jeremy works on a number of cross-functional teams, and has chaired our ESOP Advisory Committee in the past. He’s participated in on ad-hoc process improvement teams to help with financial reporting and improve our freight processes. He is a standing member of our Great Games of Business Team, which works to further Cisco-Eagle’s open-book management processes. Jeremy demonstrates exceptional character traits: Jeremy participates in community service, having led the company’s charity walks multiple times. He also is a member of his hometown’s CERTS (Community Emergency Response) team, a group that helps civil authorities safeguard events and respond in times of crisis. He also supports his hometown through his work on the Bixby Optimist Club and other groups. Jeremy supports and promotes ownership culture: As a longstanding member of our ESOP Advisory Committee, Jeremy has participated in and helped shape our ESOP culture for many years. He’s worked hard on events, assembling lunches and giveaways, running errands, creating materials, and distributing various notices for events. But his most important contribution to our ownership culture has been the example he sets. Jeremy is the kind of person who acts like an owner. He’s interested in financials and underlying reasons for business success or failures. He works to create solutions and find better ways to do things. Cisco-Eagle provides exceptional service by employee-owners. We believe that no one provides better service than an owner, and based on our customer service ratings, it appears our customers would agree. Our employees are all shareholders. We have been employee-owned since 2000. For more information about our ownership culture, visit our ESOP page.